Eternal Silence will hit Steam this Friday. The team posts new screenshots and release details. 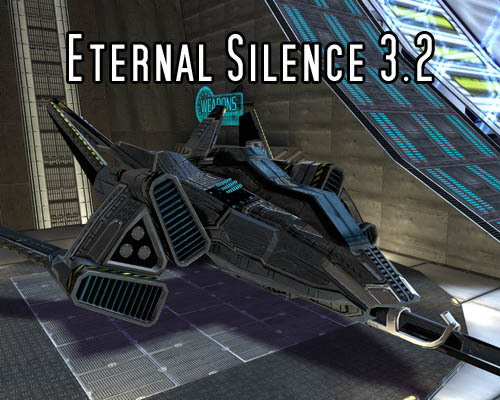 This Friday, January 30th, Crankshaft Games releases a new version of Eternal Silence. This version, dubbed 3.2, contains 9 maps, 3 new game types and many improvements on the infantry combat. The mod will be released over Steam and will reach some 16 million users instantly. We're happy to finally be able to deliver our game on such a massive platform. The Steam tools bring the promise of instant-updates for the entire player base, and we plan to make excellent use of those features. We'd like to remind the server administrators to update to the latest dedicated server released today, version 13. Server admins who haven't got their servers setup yet can download the necessary files from the HLDS Update tool using the command -game "esmod". Here are a few screenshots of the final release. We can't wait for Friday. 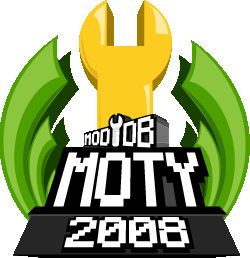 We've also made the Top 100 in the ModDB Mod of the Year awards. Please vote for us again in the second round. Every vote counts! Cool, though it might be a little hard to release it on Friday when today is the 28th and it's Wednesday. Might you mean the 30th? Fast fix! I'll be looking forward to Friday. I might be missing something, but isn't this Friday the 30th anyway? Never minding the trivial date question, this is awesome news. Placing it on Steam will give it a greater chance of attracting more players. Congrats to you guys! I was wondering when they were going to start releasing the other selected mods to go on Steam. Excellent! I'm staying at the inlaws place (because of Chinese new year) and they have much better internet then my rental! Friday will be funday! nice one, i've been holding off on this mod for the new version. cant wait! Es always lagged before on my old pc and didn't bother with it anymore the first time i played also no one new about it will get this see what it's like looks like a really nice release. Does this mean you havent added the new player models?! I've been waiting to play this until the update. This game is so fun with more than 4 people. Is ES the only mod coming to Steam that day? PVK will release too.. if have another 3 mods, i can't imagine which one could be released and if it will on the same day. I'm not sure they're coming on Friday, but maybe who knows. WE NEED SERVERS. If you have a Dedi, host an Eternal Silence server tomorrow! i going to also wake up at 6 am est to play !!!!! Looks like it will be a saturday release? Can't wait to play it when I get back home! Congratulations on getting on Steam! The game is sooo sooo good I can't believe no-one played it before! With a Steam release it certainly will pick up! !